1937The Detroit Club may stand just four stories high, but it commands a towering presence in the city’s history. The Romanesque Revival private club at Cass and Fort in downtown Detroit, opened its doors in 1892 but its founding dates to a decade before. According to a 1927 Detroit Club booklet of bylaws, rules, and a history of the club, two businessmen friends met by chance in downtown, grumbling about the inferior lunches each had experienced at nearby restaurants. They agreed to start a private club and hire a fine chef. 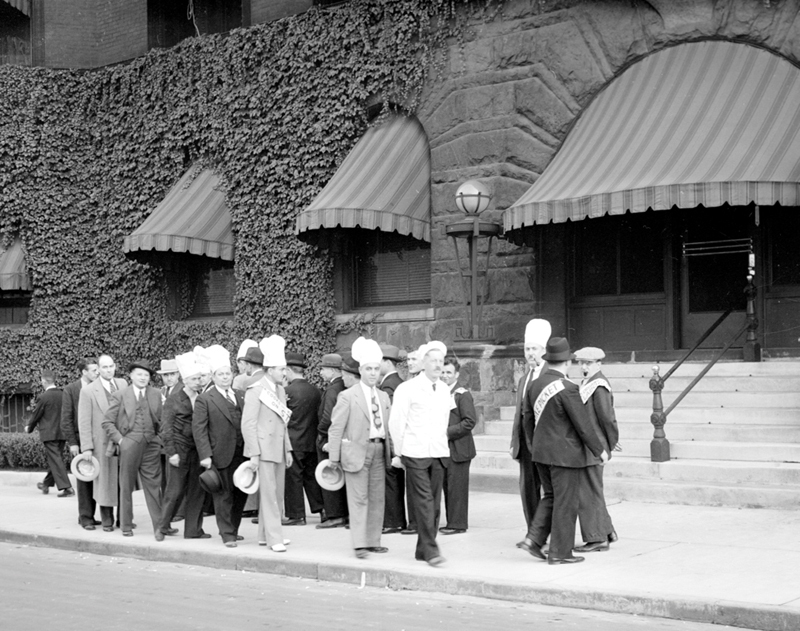 Speaking of chefs, this photo captures a moment of labor unrest in the tumultuous 1930s as waiters and cooks (sporting chef’s toques) picket outside the club. The Detroit Club had its first location in a home on Lafayette, but soon outgrew the building. A second location opened at the corner of Fort and Wayne streets in 1883 but that, too, proved too confining for the burgeoning membership. The current edifice was designed by Philadelphia architect Wilson Eyre Jr., who also created the shingle-style home of industrialist and art collector Charles Lang Freer on East Ferry. Freer was a member of the Detroit Club and headed a committee to furnish the quarters with top-drawer American paintings. In addition to works by such Detroit artists as Myron Barlow, Gari Melchers, and Robert Hopkin, paintings by American masters Edward Redfield, Dwight Tryon, Childe Hassam, and Frank Weston Benson also graced the walls. A glance at the membership roll in the 1927 book is like looking at a roster of Detroit’s blueblood families: Buhl, Fisher, Scripps, Book, Ford, Booth, Alger, Dodge, Chalmers, Hecker, Webber, and Crowley, just to mention a handful. The non-resident members’ names were equally impressive: Chrysler, Olds, Nash, Durant. The club’s luster dimmed over the years, but in December 2013 husband and wife Emre and Lynn Uralli purchased the club and began extensive renovations. 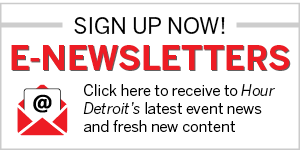 After four years of being closed, the Detroit Club is poised to open its doors again. The club will continue to be private, save for a first-floor restaurant and cigar bar, which will be open to the public. The public may also rent event space in the building.